Awakened by stones hitting my window I grab my clock, it’s 5AM! Wow and a school day too. I grab my board and wetsuit and pile into the car with Jeff Chamberlain and Sam George as we drive over to the city; San Francisco that is. There is a slight haze on the bay as we cruise — half asleep — across the bridge and into the dark and unusually quiet city streets. Soon we are winding down the long road to this spot we’ve been hearing about in the newspapers. 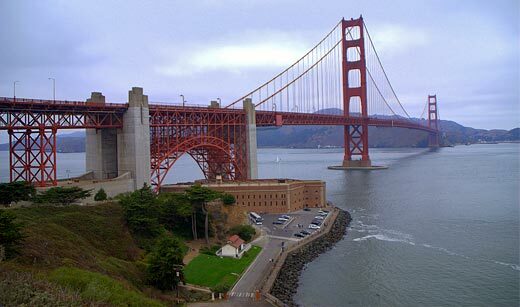 It’s a rocky point situated in front of an old Army fort guarding the entrance to San Francisco Bay: Fort Point. The area occupied by the fort is a natural rocky promontory jutting out into the bay. Historically the area was first used by the Spanish in 1794 as a small fortification to protect the bay from the British and Russians. This structure, the Castillo de San Joaquin, was dismantled by the US Army in 1853 prior to the construction of the current Fort Point, which was the only similar fort on the US west coast (there were 30 forts on the east coast). Construction, including 7 foot thick walls, was completed just prior to the American Civil War and it served guard over the entrance to the bay but was never attacked. It also served to guard minefields and submarine nets in World War II. Around one more bend and we flash out into Fort Point. The sun was just rising over the city as we pulled up at the point, which was completely empty of people. The water was flat as a lake and we start wondering if we should head out to another spot for some waves. But at that instant a lump of glass materializes amongst the stillness and haze and wrapped around the point. Everyone is silent as the wave peaked over and peeled perfectly left, followed by two more. Pandemonium breaks out in the car and there is a mad scramble for wetsuits. We clamber down the rocks and venture out into the water where we surf for a couple of hours. It’s an eerie place to surf as we sat in the lineup and observed the water from the bay funneling at high speed pass the Fort on a one-way trip out to the ocean. The swells come in under the Golden Gate Bridge and make a 90 degree turn onto the point forming a clean left tube break. As you sit in the lineup you can hear the traffic on the bridge above. On big swells the waves literally break under the bridge, often in a high current, high wind area, and wrap around the point. On the bridge above us people not infrequently jump to commit suicide (1,700 since 1937) and are swept out to sea with the current and end up down the coast. The first wave on that first day in 1973.Photo:Jeff Chamberlain. Suddenly, a loud voice cuts through the stillness. It’s the Military Police and they are telling us to get out of the water. After a brief conversation we learn that it is illegal to surf at the Fort as it is military property and the currents and rocks make it a treacherous place. Luckily, the MPs just wrote our names into “the book” and let us off with a warning but told us never to come back. However, by that time we were hopelessly hooked on this uncrowded, perfect spot and we continued to surf there. So over the next few months we were more careful and starting timing the MP patrols. As it turns out they were largely on an hourly schedule so we would sit and wait for them to leave then scramble out into the surf for 50-55 min then back to our cars until they left again. Although we got caught a few times we used fake names as they didn’t check our identification. This strategy worked great for many months. However, later during that summer the MPs broke their normal routine and just showed up as we were surfing. As we were ordered out of the water one of my friends mentioned my name and I was cited since I was already in the book. 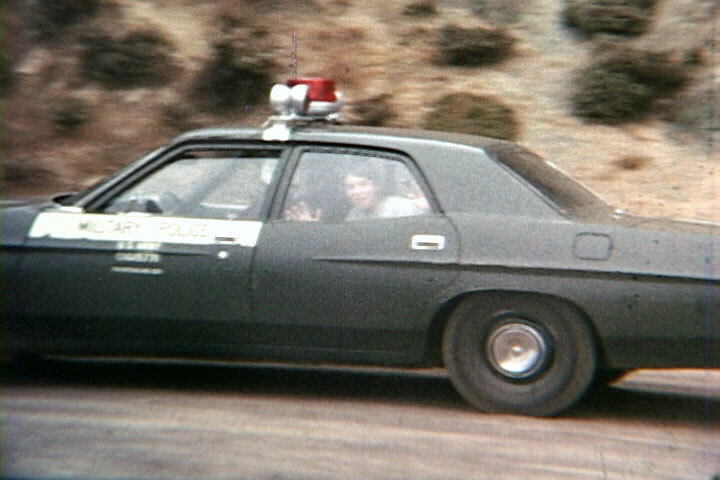 Both Jeff Chamberlain and I were placed in the back of separate military police cars and taken down to headquarters to be booked (you can watch this in the video below). My citation read “Trespassing on Military Property for Purposes Unlawful” and I was released and ordered to appear in court next month. At that point I began to get a bit nervous as I was cited for a serious federal offense and my father, a US Navy Captain at the time, was overseas in Vietnam. Me being arrested at Fort Point, 1973. Photo: Jeff Chamberlain. Me being taken away at Fort Point, 1973. Photo: Jeff Chamberlain. Because of my age (16 at the time) I was able to secure a public defender who suggested we ask for a jury trial and take the issue public, reasoning that the Army didn’t want the exposure. When we asked for a jury trial in federal court the Army immediately dropped the charges and the next year Fort Point was turned over to the National Park Service whereby it became open to all surfers. 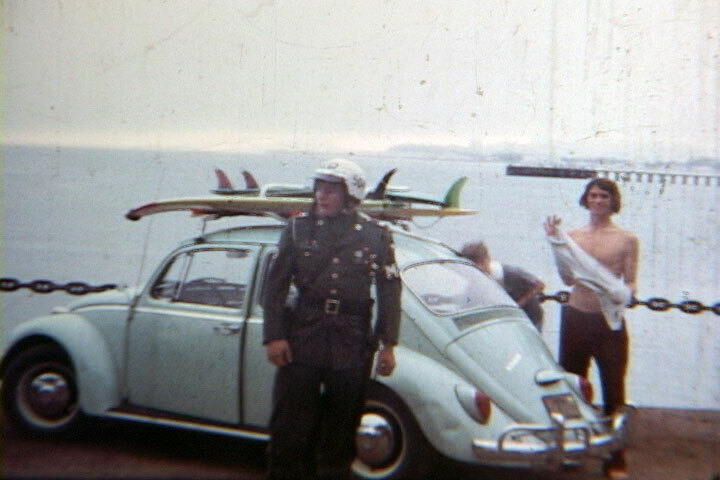 As we discovered later surfers had been getting warnings and citations there for years prior to 1973 and the Army slowly became stricter over time. If you didn’t come in when they yelled at you they would contact the Coast Guard to arrest you. Since it wasn’t an active fort in those days they probably just got tired of arresting surfers and looked for another approach. It was officially designated a US National Historic Site in 1970 and the Army turned over enforcement of laws to the National Park Service in 1974. For a while after it was opened up it was still a great place to surf. Unfortunately, over time Fort Point has become an insanely crowded surf spot known for its intense localism and violence in the surf zone. I guess being owned by the Army had its advantages, although I didn’t appreciate it at the time. 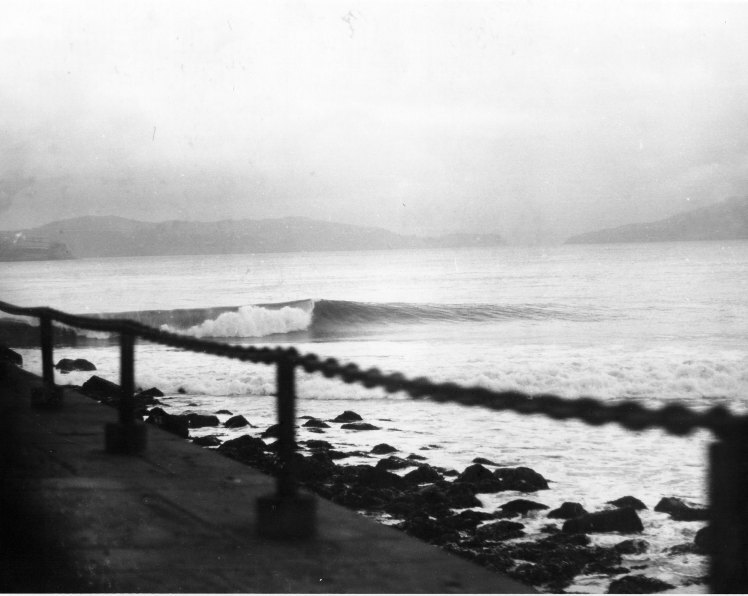 Regardless, those early days surfing the fort were some of the best times of my life. 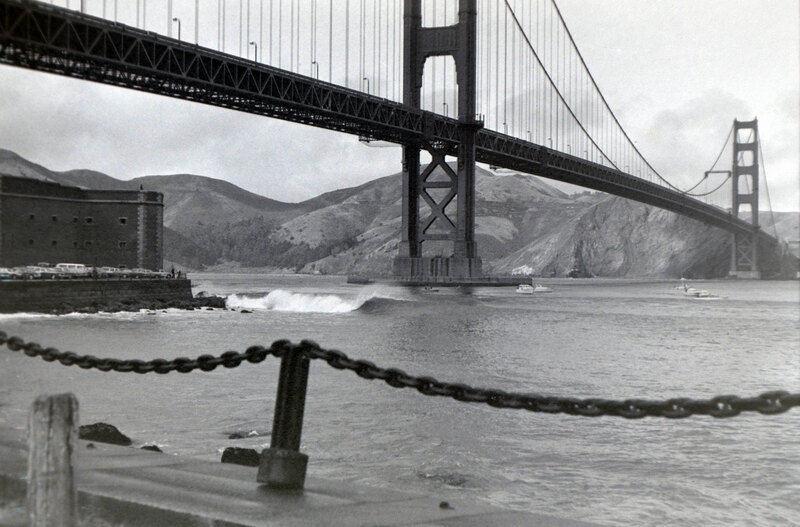 8mm Movie of Surfing Fort Point in the 1970s, with arrest footage at the end. By Brian Tissot. Brian, this one’s got it all: single fins, classic scenery, great storytelling and a bonus Super 8 capture! What a great “live to tell” surf tale with supporting cast Sam and Jeff. And that bird at the end, ha ha! So legit! I loved it! Appreciate your comments Marina. You had to have been there in the early 1970s to appreciate it, which you did! Curt Dawson here, Encinal ’73. Great to see this footage ! there. Intense even for this bellyboarder, just getting light, what a setting! Always count that day a major rush. Jeff went off to Poly and I went to Chico State, never got back to our mother ocean. On the bright side, 2 years later I met Sam’s sister on a wildland fire crew and fell hard for a year. The one that got away, for sure. Crazy story, and great pictures too!